Marouane Fellaini is all set to depart from Manchester United. Fellaini was the first major signing to arrive at Old Trafford after the conclusion of the Sir Alex Ferguson era. The ex-Everton man was brought in by David Moyes for £27.5m on the deadline day of the 2013 summer transfer window. 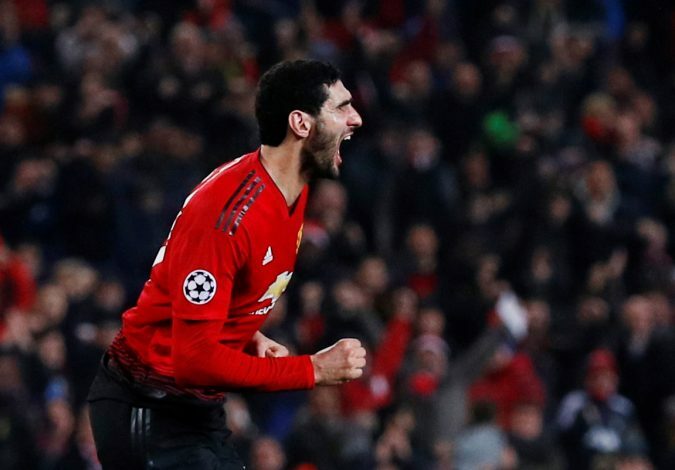 The midfielder has since played a huge part in the setups of both Louis van Gaal as well as Jose Mourinho, but has still failed to completely win over the Red Devils’ faithful. He has struggled to receive adequate game-time under new interim boss Ole Gunnar Solskjaer, and it could now see him depart from the Theatre of Dreams. Early on Tuesday, reports coming in from the BBC indicated that Manchester United have been in talks with an unknown club regarding the sale of the 31-year-old. However, the English outlet added that the Mancunian giants had refused to confirm whether or not a fee had been agreed for the player. Further, the club in question is said to be Chinese Super League outfit Shandong Luneng. The Chinese transfer window does not close until February 28, thereby giving this deal ample time for completion.